Tim Van Ransbeeck and the Antwerp Factory team recently completed a one-of-a-kind team retreat at a newly opened Outsite location: Venice Beach. Every team, no matter how big or small, needs to relax and bond away from the office. Finding the perfect work-life balance isn’t optional for companies anymore: it’s crucial. 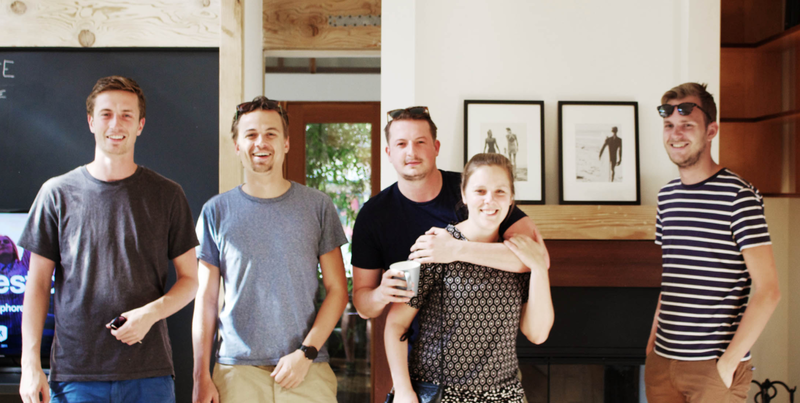 Tim Van Ransbeeck, Managing Director at Antwerp Factory clearly knows this, as his team recently completed a one-of-a-kind team retreat at a newly opened Outsite location: Venice Beach. Venice Beach is the premiere gateway to Los Angeles, home of Hollywood, and other popular attractions like Griffith Park, Disneyland, and Santa Monica. For teams like Tim’s, this is the perfect place to chill at the beach, work at designated workspaces at the house, or go out for a night in the town. Watch a short video below about their Outsite Venice Beach Experience. Antwerp Factory is a full-service digital agency driven by technological innovations and brand experience design. They regularly create spectacular websites and applications for companies around the world. Their priority is to create a perfectly designed and coded brand experience for their customers. But when they’re not working, the Antwerp crew likes to connect and explore together. What better place to do this than at Venice Beach, right next to the City of Angels? With Outsite, the Antwerp Factory team explored the perfect work-life balance. Staying one block away from the beach, the team walked along historic canals, explored the Venice Beach boardwalk and strolled through Abbot Kinney, the “coolest block in America.” They also took the opportunity to explore the renowned Los Angeles nightlife and seem to have gathered quite a few stories to tell! Ready to bond with your team and gather some stories of your own? Take your team on an Outsite retreat.